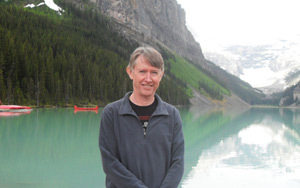 Pannell Discussions » 297 – You can own a critically endangered species » Ideas in economics, environment, policy and more. Posted on 29 September, 2016 by David Pannell. This entry was posted in Economics, Environment. Wollemi IS critically endangered in the wild but probably the least endangered plant in the world overall – there are tens of millions of them in gardens on every populated content. They could never be eradicated by disease, fires or deliberate attempts at eradication – eradication or the extinction is physically and economically impossible. The market has saved Wollemi and ensured its continued existence in a way that no Threatened Species legislation ever could. I know you have been back from your trip for some time now but we haven’t bumped into each other. This latest note on Wollemi Pine attracted my attention because we got interested in it at Nedlands Golf Club when I was Course director about 6 years ago. Two of our lady members were very keen about them so we acquired three plants each between 80-90cm tall. However raising them is not as easy as it would at first appear when you realise how many are in gardens around the world. Two we placed in very large pots at the club-house and the third we transplanted onto the course in the most shaded and protected place we could find that would be visible from the club-house. The two in pots despite constant watering were too exposed and suffered continual burnt foliage during late spring, summer and early autumn. Sadly I have to say we lost the lot so apart from their natural habitat in the Blue Mountains home gardens in very well protected locations may be the best place for them. Golden Valley Tree Park, the arboretum in Balingup, has three Wollemi doing fairly well. 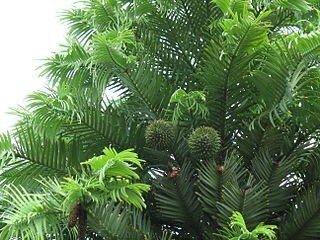 This post seems to be very interesting as this looks like a very good practice of bring the endangered species to your home .The wollemin pine is a plant which is the endangered species of Australia and even can be purchased online and that’s like very good even for the plant spices as they are not wasted and are actually properly take care by the people of Australia. From my point of view either I believe that it is very important to save the endangered species so they can be saved for the future generations.